ONCHAN, Isle of Man – July 2, 2018 – PokerStars has teamed up with the Seminole Hard Rock Hotel & Casino in Hollywood, Florida to award two $30,000 Platinum Passes to the PokerStars Players No Limit Hold’em Championship (PSPC). 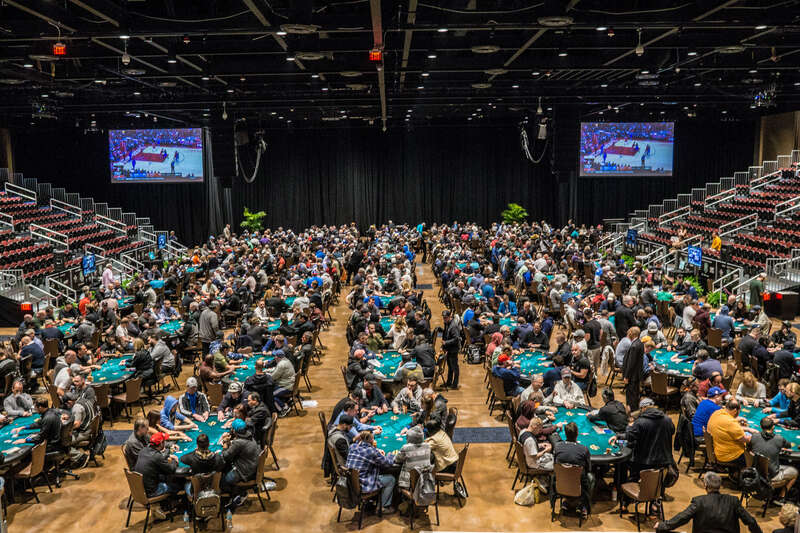 This partnership marks the second time that U.S. poker players will have the chance to win a Platinum Pass at a live event on their home turf, this time via two Seminole Hard Rock promotions in Florida. Players can enter for a chance to win by participating in the Seminole Hard Rock Hotel and Casino’s $65,000 Summer Freeroll and during August’s Seminole Hard Rock Poker Open (SHRPO) Play To Win Poker Promotion. Players who log 100 hours or more on any jackpot eligible game from now through July 31 qualify for the $65,000 Summer Freeroll and can enter to win the first of the two Platinum Passes. The winner will be decided on August 1 at 1500 EDT. To qualify for the SHRPO Play To Win Poker Promotion, players must enter a minimum of one poker tournament during the Seminole Hard Rock Poker Open between August 2 – 14. A special drawing will take place on August 14 at 1900 EDT. Each time players buy-in their name will be logged and at the end of the series one winner will be selected at random. Multiple entries are permitted and the promotion is open to both primary events and satellites. The lucky Platinum Pass winners at the Seminole Hard Rock will follow in the footsteps of the five U.S. players who have already won a Platinum Pass at PokerStars. Michael Page, who recently took down a WSOP event, and Derik Li both won their passes in New Jersey after winning the PokerStars NJSCOOP Main Event High and Low online tournaments, respectively. Other American winners include acclaimed poker pro David Peters, author turned poker player Maria Konnikova, and PCA Day 2 Draw winner Thai Ha. A Platinum Pass includes a $25,000 buy-in to the PSPC in January 2019, one of the most anticipated $25,000 events, accommodation at the Atlantis Resort in the Bahamas and $2,000 towards travel costs. More than 120 players have already been awarded a pass. The winner of the $65,000 Summer Freeroll will also score an entry into the $5,350 Seminole Hard Rock Poker Open Championship on August 11, a three-night stay at the hotel and $200 food credit. The number of hours played will determine the starting stack, increasing as more hours are played. The promotion is open to the first 235 players to qualify and enter, and the hours must be accrued between June 1 - July 31.